2.) Utility Network for example gas pipeline network. In transportation network model analysing air transportation network is a fascinating network visualisation exercise. Force-directed graph drawing algorithms are a class of algorithms for drawing graphs in an aesthetically pleasing way. 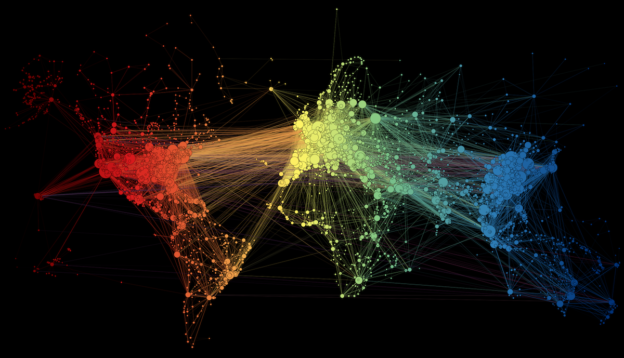 This algorithm used by Martin Grandjean a researcher from The University of Lausanne, Switzerland to analyze the air transportation network created by 100,000 airline flights that take place around the world. Data for this analysis of the 3,275 airports across the globe was taken from openFlights.org. 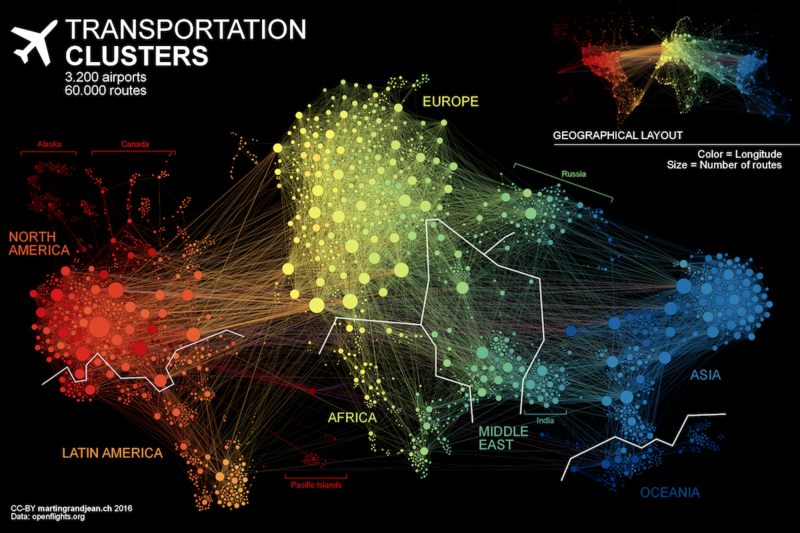 A map showing flight routes between these airports is a network graph. Martin Grandjean attempts to make explicit the network behind air transport. The structure of the relationships has an impact on the spatial distribution of nodes in a graph. Let’s see how this landscape is reorganized without geographical constraints. I found this information very fascinating, to know the way for Flight Routes Network Analysis.